Our bespoke products are not only strong and sturdy, but also stunning to look at. We focus on manufacturing products that work well and also look great. 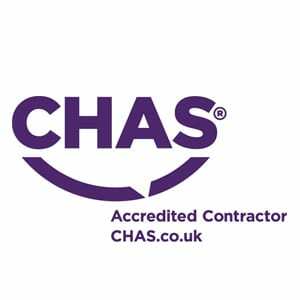 Specialising in bespoke joinery and home improvements and trading for more than 10 years, we are associated with CHAS and FENSA, with a certification of ISO90001. Every production step has been designed to assemble exact, durable and beautiful windows. Our products are handmade, giving you bespoke items that enhance your property. BC Bespoke Joinery is a value-led business. Our work is driven by a strong set of core values that define our culture, how we work, and everything we produce. From designers and fitters through to surveyors, our team of professional joiners have a varied range of skills to bring you the bespoke kitchen design of your dreams. Our bespoke doors are not only strong and sturdy, but are also stunning to look at. We focus on manufacturing products that work well and will look great in your home or business. We strive to understand your exact requirements, we can create the perfect products for your business premises or home. We can enhance the aesthetic you’ve created. Design is key to our business and our customers. We believe that everything we produce should look good, work well, and make clients feel great about the things they’ve asked us to make. Our company was founded due to the requirement & necessity of perfection & innovation. As creative thinkers, we like to lead the industry with new developments. We enjoy having active conversations with our customers. Being a good communicator strengthens the bond between us, helping to understand their needs and create better products for them. With the excellence is also a sense of infectious excitement for the products we make and the way we make them for out customers. Only high-grade materials are used in all the joinery services we provide, BC Bespoke Joinery boasts a swift turnaround on all products while offering you complete support from start to finish. If you would like to discuss any of the bespoke joinery services we have available in London and the surrounding areas, call BC Bespoke Joinery on 01737 767777.